Increase the number of page views per visit by using our personalized recommendations on your websites and applications. Broadcast personalized recommendations with innovative formats : Recommendation blocks, video recommendation banners, pop-in, push notifications. The Ownpage API is easy to integrate in both websites and mobile applications. 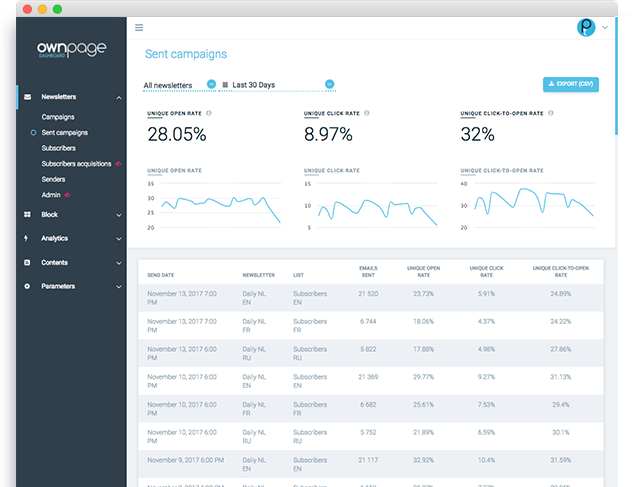 Monitor the metrics of your Personalized areas from your dashboard. France Football is willing to decrease the bounce rate of their homepage. 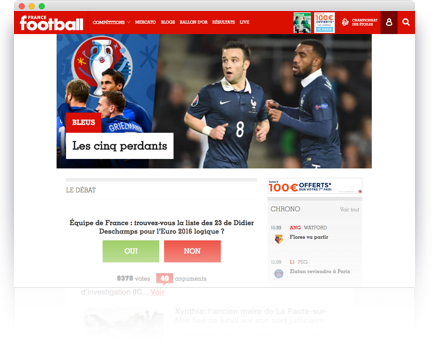 France Football chooses Ownpage for the integration of a personalized area on their homepage. Ownpage's suggestion blocks generate 50% extra clicks comparatively to the old "most popular" block.